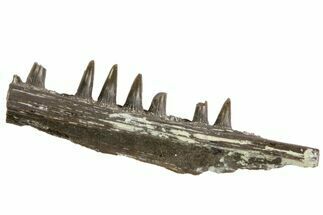 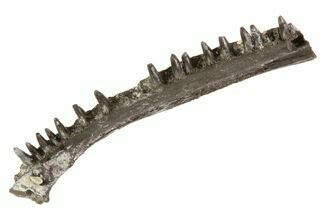 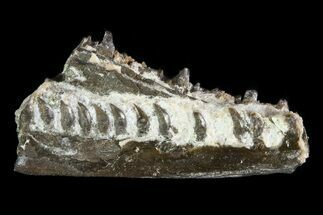 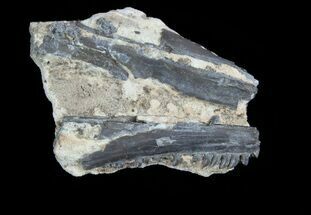 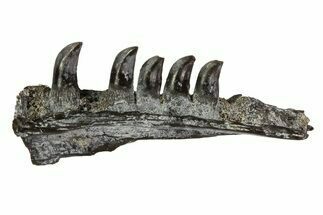 This is a 1.15" long jaw section with five teeth from a Lower Permian Synapsid (Mycterosaurus sp.) 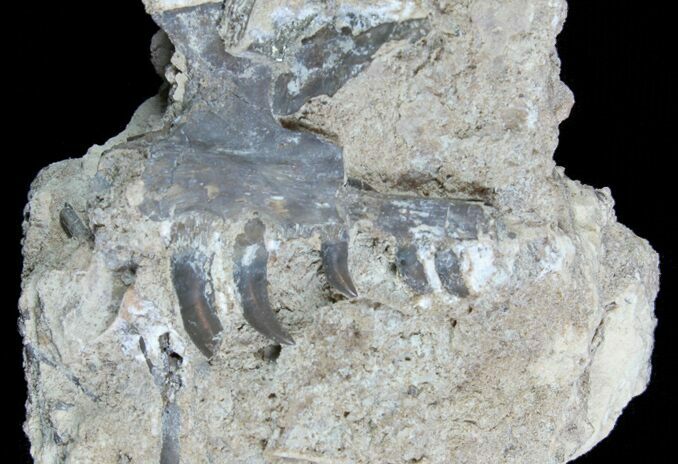 It was collection from cave fissure fill deposits in the Richard's Spur Quarry near Lawton, Oklahoma. 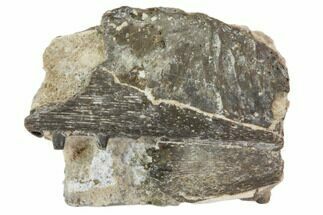 The jaw section is on a 2.5x1.9" piece of rock and was microscopically prepared using air abrasives.